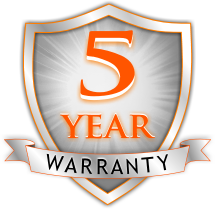 After designing and manufacturing three generations of building automation system products, Reliable Controls® Corporation proudly offers an industry recognized 5-Year Warranty on all the products they manufacture. Please find the warranty statement below. Reliable Controls® warrants its products to be free of defects in material and workmanship for a period of five (5) years from date of shipment. If a product is malfunctioning, it must be returned to Reliable Controls® for evaluation. The defective part should be shipped freight pre-paid to Reliable Controls®. Upon examination by Reliable Controls®, if the unit is found to be defective, it will be repaired or replaced at no charge to the customer. However, this warranty is void if the unit shows evidence of being tampered with, damaged during installation, misapplied, misused or used in any other operating condition outside of the unit’s published specifications. Reliable Controls® makes no other warranties or representations of any kind whatsoever, expressed or implied, except that of title. All implied warranties including any warranty of merchantability and fitness for a particular purpose are hereby disclaimed. User is responsible to determine suitability for intended use. Copyright © 2016 - R.E.L. Controls Inc.